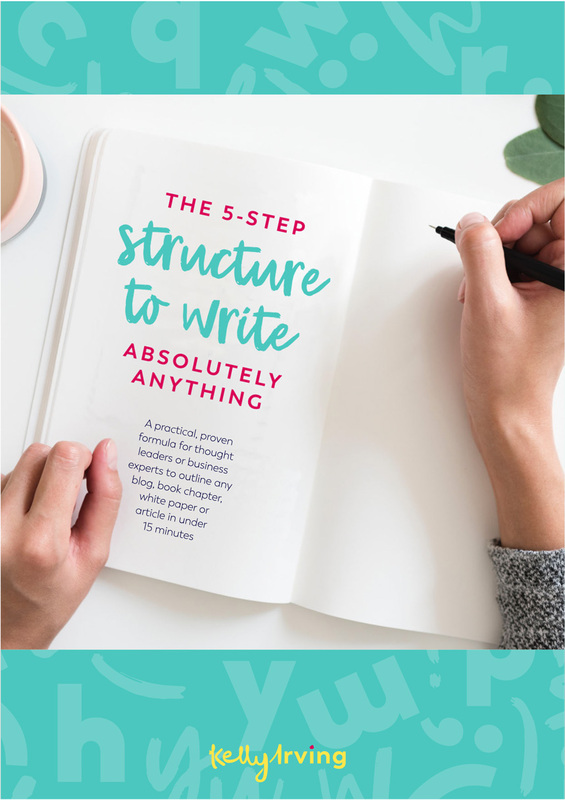 While there are a lot of books and resources out there that can help you improve your writing, it’s actually the thinking in the actual process of writing that provides the biggest aha moments, as author of Creating a Customer Service MIndset, Jaquie Scammell discovered. While you can write a book in 24 hours, a week or a month, it’s important to understand it’s true value when it comes to building lead generation and positioning for your business over the long term. Author of bestselling book It’s Who You Know, Janine Garner explains why writing quickly might do you more harm than good. A book is much more than a ‘business card with thud value’. Here, Deep Listening author, Oscar Trimboli explains how writing helps you develop confidence and conviction in your message and transforms how you present, speak and communicate in your market. When we launch too quickly into what we think someone’s problem is, without spending the time to actually listen to where they are at, then we miss a valuable opportunity to connect with them on a deeper and more impactful level. Deep listening expert and author Oscar Trimboli explains. Success is not about having business cards, lots of connections on LinkedIn or thousands of Facebook likes, especially when it comes to writing and selling a book, as bestselling author of It’s Who You Know, Janine Garner explains. When you write for every leader, CEO, organisation or industry then you end up writing for no one. Customer service expert Jaquie Scammell explains how writing to a small and specific audience means you’ll end up attracting a larger one. Customer service expert and author Jaquie Scammell explains how to empathise with your audience (aka your customers) in your book to attract their attention. Getting other people onboard and convinced of your big book idea is crucial to your publishing success. Here’s how to secure that kind of buy-in so it won’t be met with a silent groan. What do you do when you’re struggling to write about complex concepts in your book? Ask your audience explains confidence expert Michelle Sales. Contrary to belief, writing is not always a solitary experience as author Michelle Sales experienced. Got visions of following in the footsteps of The Subtle Art of Not Giving a F*ck? Author Michelle Sales discusses why it might do you more harm than good. While you might think you have a great idea for a book or project, it doesn’t necessarily mean that others will agree. Here’s how to master the art of buy-in with the help of collaboration expert Simon Dowling. As Ryan Holiday, author of Perennial Seller, puts it, “No one sits down to make something hoping it will disappear. No, the whole point is to stand the test of time.” Here’s how Simon Dowling wrote a book that is still as relevant today as it was yesterday. Getting clear on why you are writing a book is your most important, but often, the hardest first step. Bestselling author Simon Dowling reveals his learnings from the process of why he wrote his book. Writing a book often feels like pushing rocks uphill (don’t let anyone else tell you otherwise). So what do you do to manage self-doubt and setbacks? Bestselling author Simon Dowling shares his insights. How does a book help you refine the message you’re taking to market? Collaboration expert and bestselling author Simon Dowling explains. Dreaming of securing a publishing deal? Then follow these tips from buy-in expert and John Wiley author Simon Dowling. You’re probably the kind of person who wants publishing facts without the fluff and jargon. You want to understand the best way to publish your book without being side tracked or sold to by a bunch of salespeople trying to convince you to engage their publishing services. Well, this is how this infographic can help. 'Self publishing versus major publisher' is one of the biggest debates there is. But there is an alternative option that not many people consider. Independent publishers fall under the category of traditional publishing similar to that of a major, but there are some differences as well, which we will explore here. Pitching and publishing with a major publisher brings major kudos! It is what we call the most 'traditional' form of publishing, where the majority of the aspects of the publishing process are all taken care of - sounds pretty good, right? Not so fast. There are lots of other things you need to consider before you decide if this is the right avenue for you and your book. How many loads of washing does it take to write a blog or a book? It might sound like the beginning of a joke, but most people find this no laughing matter. Procrastination is the number one issue that many thought leaders, business experts, writers, and creatives report hold them back from actually finishing what they set out to achieve. There is a reason that professional writers everywhere – a journalist writing a news article, an author writing a business book, or a PR person writing a media release – follow a framework. They have a structure that they use to save themselves a considerable amount of time, to prevent themselves from writing off-task and off-track, from writing something no one will read. If you’re struggling to muster up the confidence to share your writing with the world, or have some kind of deep-seeded fear about producing a book that isn’t up to scratch, then this episode is a must watch.